Today is a celebration for women all around the world, for their achievements throughout history and across nations. We want to join the International Women’s Day for this week’s #TwitterTuesday challenge! 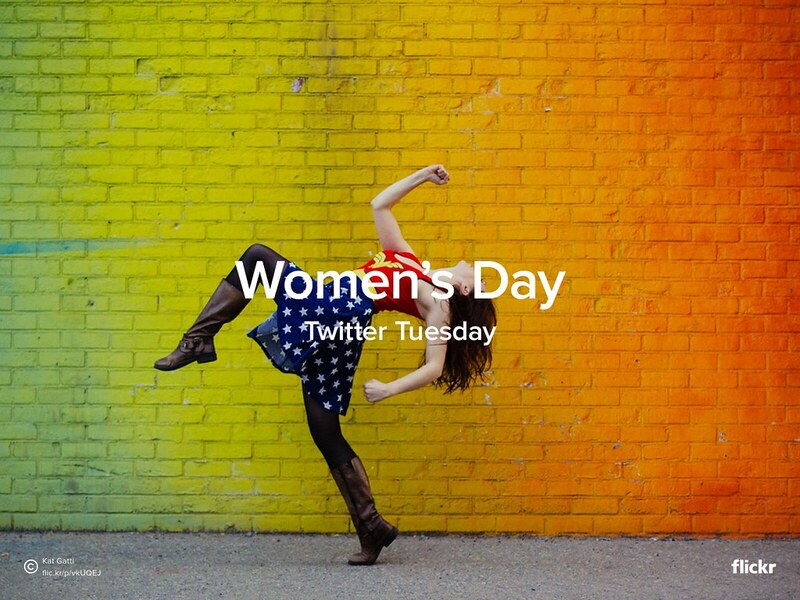 Show us your best #WomensDay photos by Tweeting your favorite image to @Flickr, adding #TwitterTuesday #WomensDay. We’ll feature a selection of our favorite images here on the Flickr Blog tomorrow. Original photo by Kat Gatti.